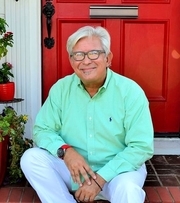 Ruben Olguin has been in the real estate industry for over 25 years. Licensed in California for 21 years. Presently President of the Tulare County Association of Realtors. Is presently chairman of Visalia’s historic preservation board. Consistently been in the top 3% of top performers. Was named top producer for Melson Realty for the 2016 year. Chaired numerous committees, everything from community benefit to multiple listing services, for the Tulare County Association of Realtors. Was recognized by the Porterville Recorder as “Unsung Hero” in 2011 for spearheading the “Paint the Town” graffiti abatement program. Previously owned an advertising agency and real estate magazine in Arizona. Was a Marketing and Real Estate Trainer for 4 years at Chicago Title in Visalia and Porterville. Enjoys spending time with family and friends, Hobbies include traveling and collecting and restoring vintage automobiles. What do you feel sets you apart from the other agents in the industry?